If you are planning a natural birth, one of the last things you want to hear is that your Baby is in the Breech Position. Most Hospital guidelines in most developed countries will summarily schedule you in for a C-Section near your due date. Whilst it is possible to birth a breech baby, there are some additional risks which is why a Section is routinely offered. Some Units may also offer an ECV (external cephalic version) – a manual procedure where a Doctor will try to physically move your baby with some deep manipulations through your abdomen. Check out this YouTube video for an amazing view of a baby turning during an ECV. However, there is a risk of your waters breaking due to the pressure on the abdomen (0.22%) and a very small risk of placental abruption (0.18%). There is a 58% success rate for an ECV. There are also some less invasive techniques for turning breech babies. 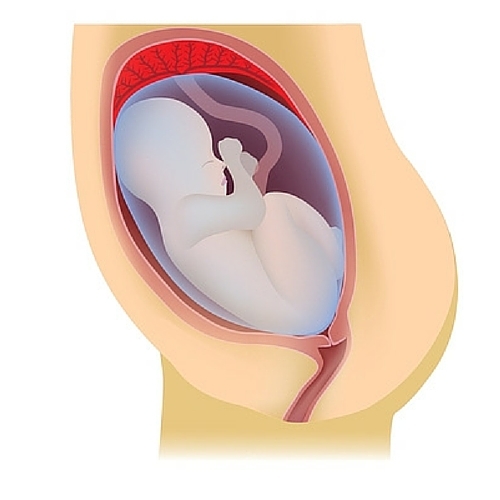 At around 34 weeks, your baby will start to try and move himself into the Optimum Foetal Position (head down, side on, spine facing slightly forwards) as this gives him the best possible route through your pelvis during the birth. 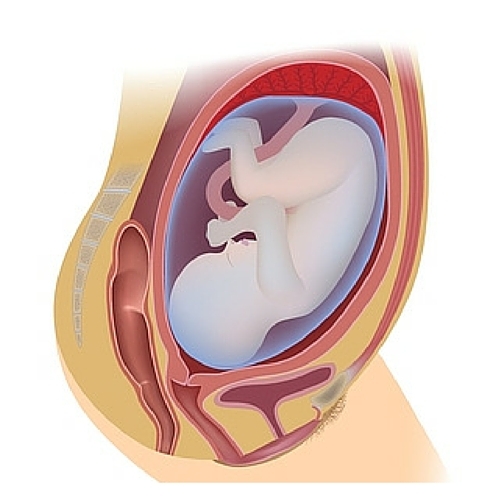 Check out the post on Optimum Foetal Positioning to see how you can help your baby. The same principles apply – to encourage your baby to go head down, you need to make enough space in your pelvis. Try the moves in the video below……. There is a ‘baby turning‘ energy point on each little toe which can be stimulated through reflexology or acupuncture. Find a therapist who has experience of using this technique. I use a combination of reflexology and the yoga/birthing ball movements with my Mums and have had some good success rates. We discovered that our baby was breech at our 26 week Growth Scan. At this stage I was sure that baby had plenty of time and plenty of room to turn independently. A repeat scan was booked for 37 weeks, and despite my midwife assuring me baby had turned head down, the scan revealed otherwise – still breech! I was given information on ECV (external cephalic version), and the options of cesarean section or vaginal breech birth were also discussed. I decided to try a one-on-one yoga session with Julie (I was already attending her weekly pregnancy yoga classes) and she gave me a personalised set of exercises to encourage baby to turn and provide as much room as possible! I also had a reflexology session at home. This was wonderfully relaxing! Julie concentrated on trying to encourage baby to turn. I felt lots of movement after this session, but I didn’t think baby had turned. I went along to my booked cesarean section at 39 weeks (I declined the ECV). 3. TALK TO AND STROKE YOUR BABY! Spend some quiet time gently stroking your baby in a circular movement (similar to how the Doctor gently moves the baby during the ECV video) to encourage him to move out of your pelvis and to rotate into the head down position. And while you are doing that, send some messages to your baby along the lines that it will be better for him if he turns, or he’ll have a better birth experience, or anything else that feels right for you. Sometimes a baby will mischeviously rotate backwards during labour, so that their spine rubs up against yours. This uncomfortable scenario often leads to intervention as the labour becomes more difficult. But all is not lost! 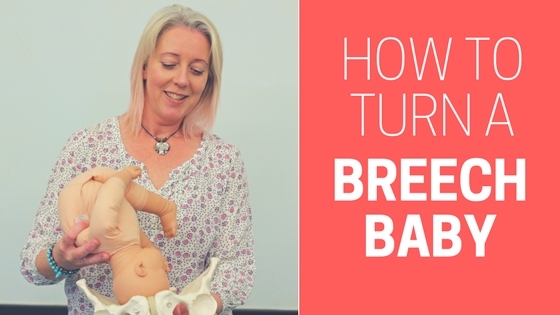 You can use the same lunging hip rotations from the Breech Video during each contraction to encourage your baby to find more space in your pelvis, and to move into a better position so he can move more easily through the birth canal. And you might find it comfortable on your back too! Head Down and Ready for Birth! I’d love to know how you get on. Leave your comments below. I can also offer a one-to-one Skype session if you’re really stuck (or your baby is really stuck! ).